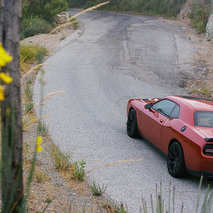 24 hours before it was due to return from whence it came, the Dodge Challenger SRT Hellcat woke me up at three in the morning. 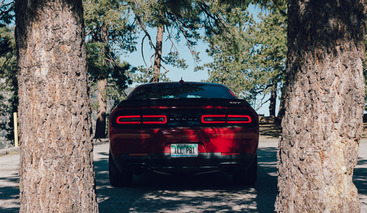 It wasn't the howl of the exhaust, the whine of the supercharger, or the thump of the stereo system that drew me out of my fitful slumber, but rather, the very idea of the Hellcat itself. I'd had the car for six days already, and through circumstances beyond my control, hadn't had the time to really let the beast off the leash. Sure, I'd taken it up through some twisties, done some burnouts, and a few highway speed pulls, but it wanted to be set free, and there was only one place where I could oblige it without fear of reprisal from law enforcement. El Mirage is a dry lake bed in the Mojave Desert that's just over six miles long and two miles wide. 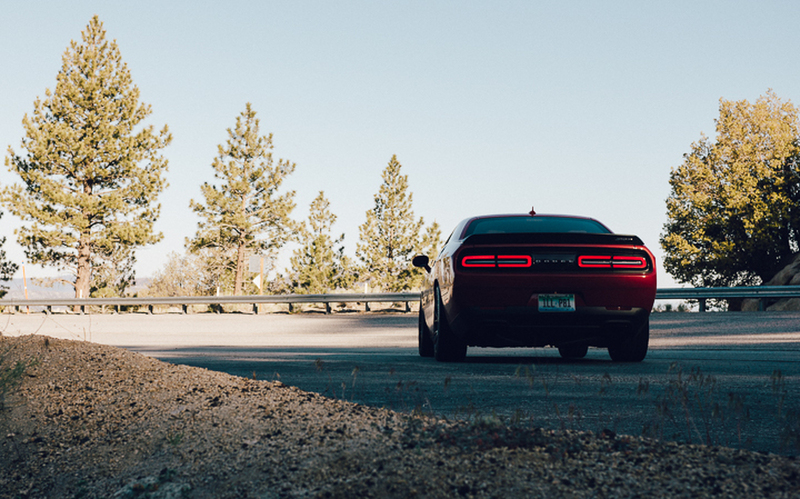 It's the place to go for wide open speed. And surprisingly, having lived in Los Angeles for nearly nine years, I had never been until that day. But it was a matter of getting there first. 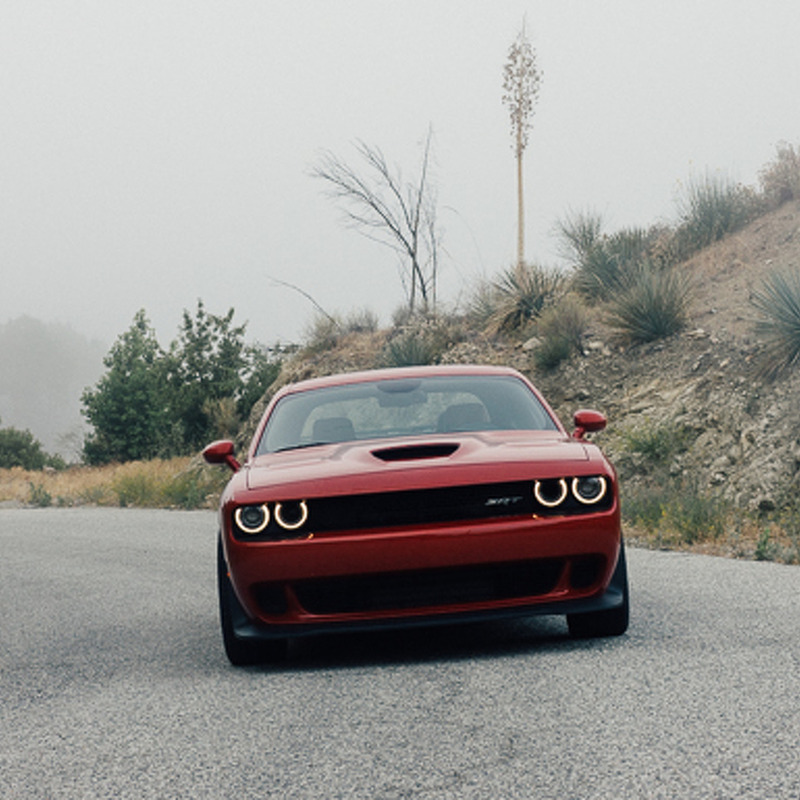 After two hours of wrestling with the decision to drag myself out of bed, or try to fall back asleep, I eased the Hellcat out of my garage and into a misty California morning. I didn't really have a plan, other than to go up to the Angeles Crest and hopefully get some photos. As I merged onto the freeway at five in the morning, I thought about everyone in the cars around me, who they might be, where they might be going—that curiosity soon reflected back onto me. Where was I headed? What I was doing? Feelings of guilt and shame immediately washed over me. Here I was at the helm of a $68,000 car that people obsess over, on my way to go take photos because I felt like it, with no particular schedule, and no one to answer to. 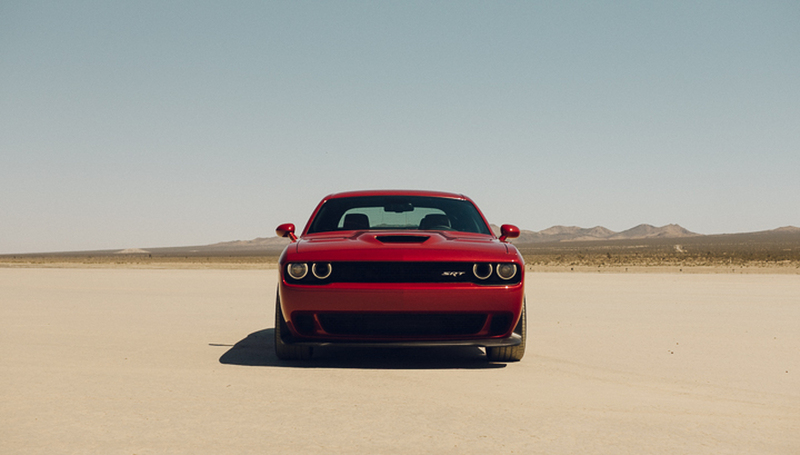 The Hellcat had suddenly become a mirror that I was afraid to look into for fear that I wouldn't like what I saw. Reprieve from my dark thoughts came in heartwarming fashion, kids pressing their faces up against the windows of a school bus as I passed. 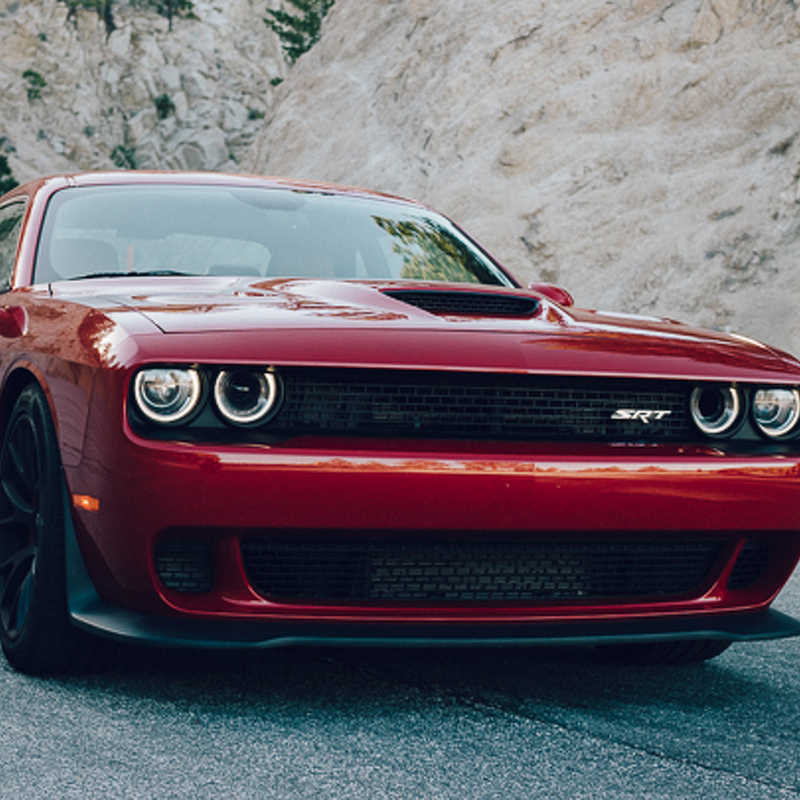 Nothing drives gloom from the mind like witnessing children in a state of joy, and at that moment, on the 118 Freeway in San Fernando, the Hellcat had made a few kids really, really happy. I slowed and drove alongside the bus for a moment so they could get a good look at the pearlescent red paint, and hear the rumble of the exhaust before I waved and took off. Sharing that little moment of course made me feel better, but more importantly, it restored a sense of purpose within me. I wasn't going to drive around aimlessly and take photos just because I felt like it, I was going to do it because it was my job, my responsibility, and because to not do so would be a slight to all the people that wish they could. I remember being the age of those kids on that school bus. I had no idea what an automotive journalist was, and quite frankly, I still don't. The label "automotive journalist" is both vague and specific, and using it frequently leaves me at a loss when trying to explain to people what I do for a living. 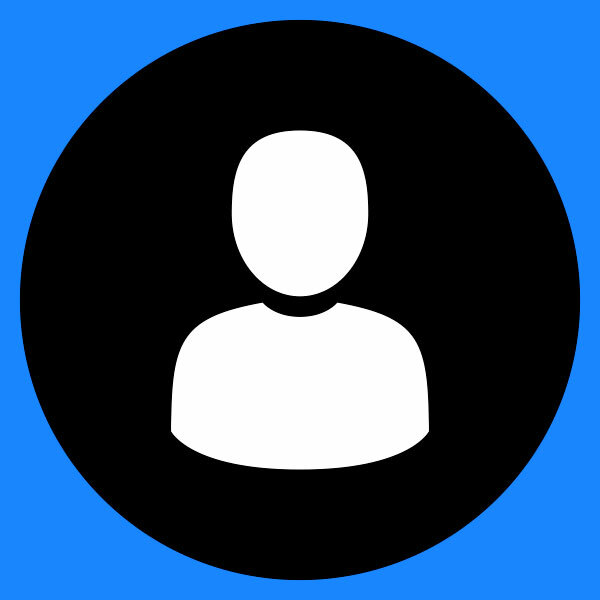 For the most part I avoid it, primarily because I don't think of myself as an "automotive journalist." Instead, I recognize that I am someone with such a deep rooted passion for automobiles and the experiences that they offer, that I'm compelled to share those experiences through words, photos, and films. I've lost sight of that before, and I'll surely lose sight of it again. 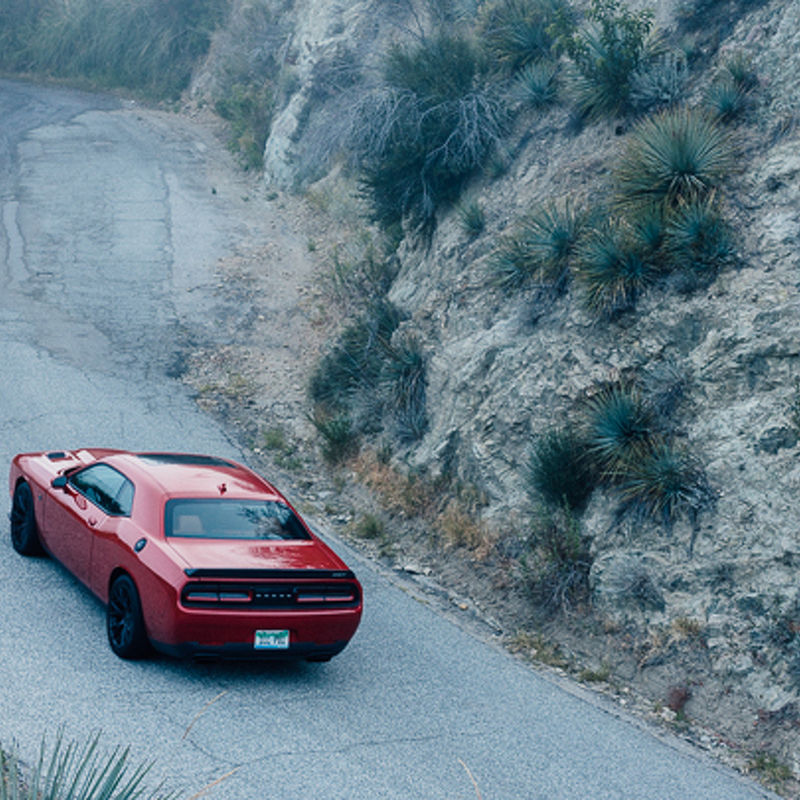 But as long as there are cars like the Challenger Hellcat to remind me why I'm in this racket, I'll be alright. 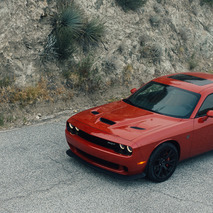 More importantly, as long as there are cars like the Challenger Hellcat on the market, there's a reason to be enthusiastic about automobiles, whether you're a little kid on a school bus, or a big kid with a family, a mortgage, and a 401(k). 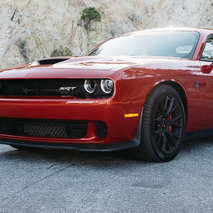 But like I said before, it wasn't the Hellcat itself that woke me up, but rather the idea of the Hellcat. Though I have no doubt that the exhaust note could snap me out of a light coma, the noise pales in comparison to that which is in your head. The physical feeling of being shoved back in your seat by 650 lb-ft of torque is positively addictive, and the mind races with thoughts of all the scenarios where you could best enjoy such unbridled power. A two lane road in rural Montana at dawn, a drag strip in Virginia on a summer night, a tunnel in Manhattan in the wee hours of the morning. 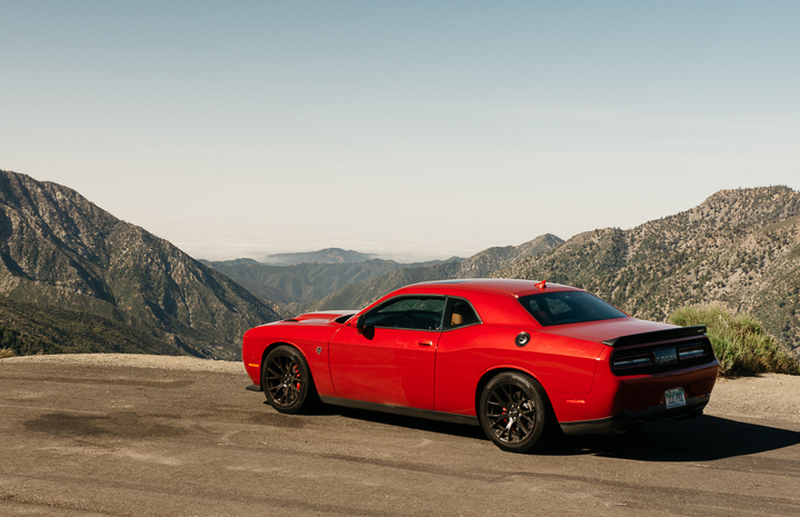 Once the Hellcat gets its claws into your imagination it doesn't let go, not that you'd want it to anyway. Thoughts still racing, I covered ninety five miles, and shot photos both in the clouds and above them. I arrived at the intersection of Angeles Crest Highway and Big Pines Highway with the intention of turning left and heading home. I was groggy, my stomach ached, and I felt like I had already accomplished something. So I turned the car left, and pointed it towards home—towards what would be another predictable and likely uneventful day. And then I remembered El Mirage. Something compelled me to pull over that day and I'm glad I did,because I was only 36 miles from El Mirage, the only place where I could legally look for the limit of a car which has a limit unlikely to be found by most in the driver's seat. The decision to go wasn't difficult at all, I had to make the kids on that school bus proud, I had to embrace the ridiculousness of a relatively old platform stuffed with 707-horsepower being a street legal car that anyone can buy. I had to try and go 200 mph before noon. Prior to El Mirage, the fastest I had every gone was 176 mph. And not knowing the statute of limitations on speeding in the state of Arizona, I won't get into the details of that little adventure. What I will say is that it was on pavement, and in a car with a chassis in which I have the utmost confidence. This was an entirely different situation. 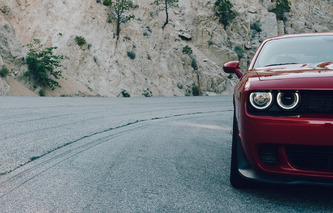 The Challenger team didn't benchmark contemporary German 'Bahnstormers during development, and although it does share some bits with the Mercedes-Benz W220 S-Class and W211 E-Class, the car is primarily a throwback piece of American muscle. 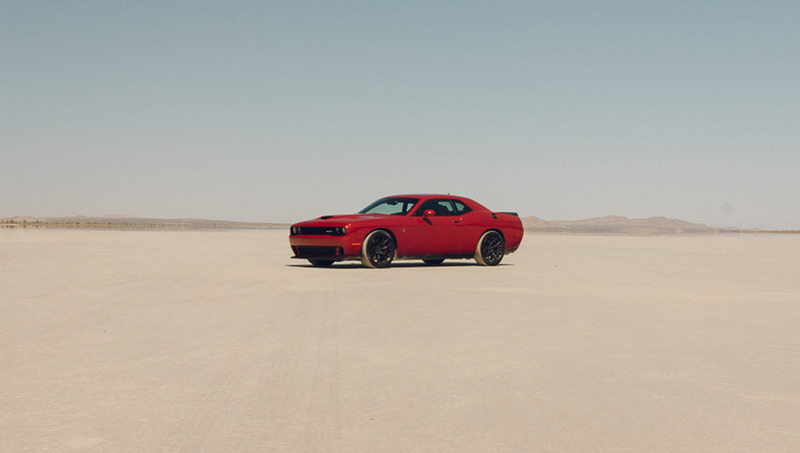 It'll happily crush a quarter-mile strip, delightfully destroy tires, and keep you comfortable as hell with ventilated leather seats, but will it go 200 mph on dirt? I was sure that it would...under the right conditions. Unfortunately for me, those conditions weren't there. Apart from the right environment and the right car at the right time, it also needed the right driver. Given that this was my first trip out to El Mirage, I had no idea what to expect. So I spent a bit of time driving around the lake bed getting the lay of the land. Without a spotter on a radio to let me know what was in front of me, I was apprehensive to keep pushing. The best I could muster was one run up to 180 mph before I decided that I should quit while I was ahead. I repeatedly ran between 150-165 with ease. 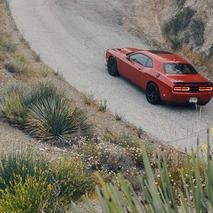 The Hellcat has no problem getting there even on a loose surface, but above 165 mph, that sense of confidence disappears into the desert sky. The 180 mph run was the result of perfect shifts, and breaking the rules of common sense. Was falling short of my speed goal by 20 mph disappointing? A little, but I enjoyed the way the whole morning had just happened so much that the last thing on my mind as I pulled off the lake bed was "Gee, I wish I'd gone faster." On the way home I drove conservatively, limiting my speeds to "heavy fine" instead of "jail time." I soaked in the audio experience offered by the 18 speaker premium sound system and Harmon Kardon GreenEdge Amplifier, enjoyed being able to adjust volume and climate settings with my hand resting on top of the shifter, and contemplated what a used Hellcat will cost in five years. After a week with the car, after I'd gotten used to the heavy clutch, the notchy shifter, and the lack of visibility, my BMW felt like a soft, little toy. 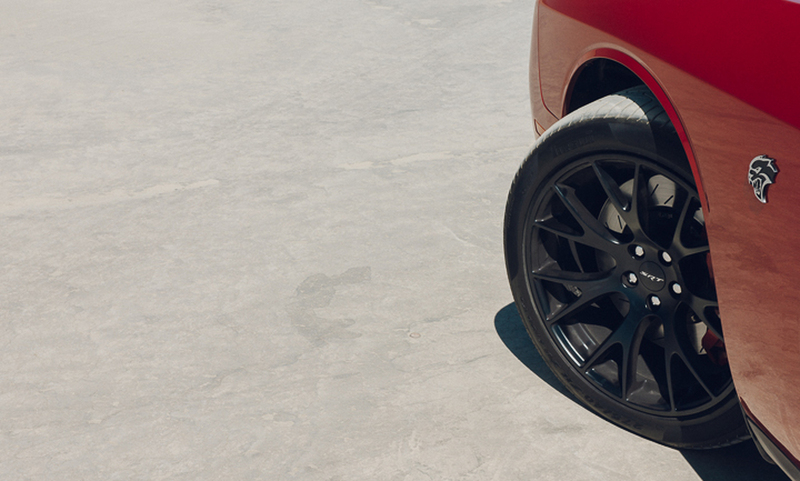 None of the Hellcat's peccadilloes had bothered me, but I could understand how they could bother some people. 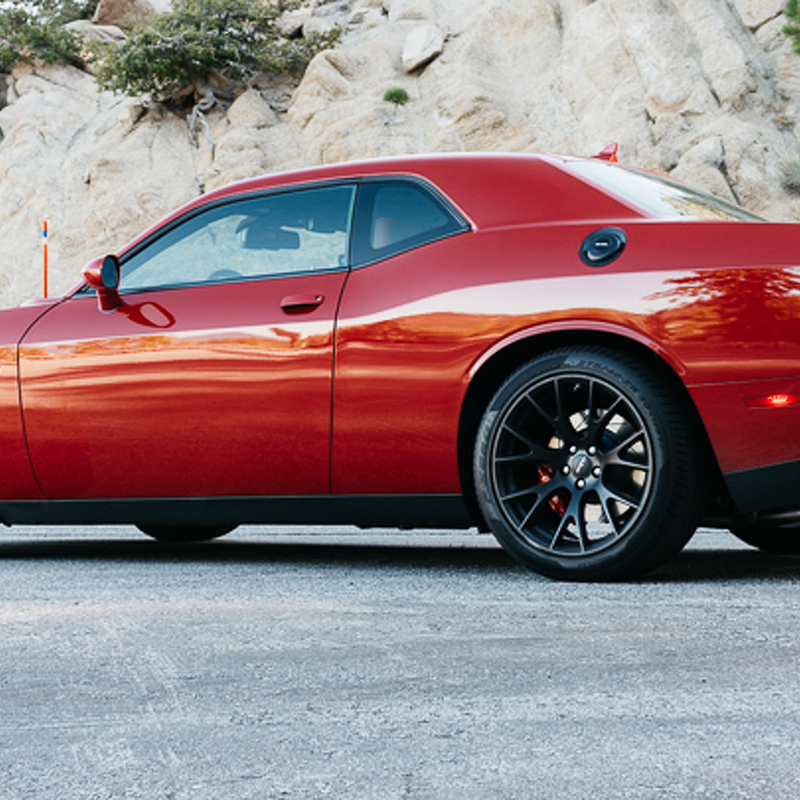 In fact, I suppose that's the easiest way to sum up the Hellcat in general: for some, not for everyone. Damn, maybe I'm an automotive journalist after all.